ORCA invites your team to apply for our Annual Romanian Soccer Invitational Tournament. 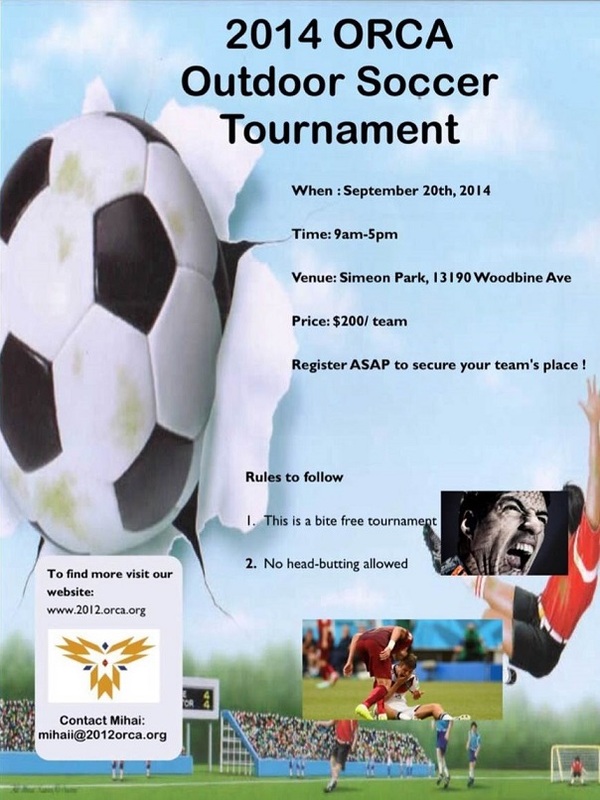 This event is in collaboration with Romanian International Richmond Hill Soccer Team. Our past local tournaments have been a great success and widely attended by teams across Ontario. For registration and more information please visit soccer tournament page.